Those of you who have been following this blog for a while know that I believe strongly that all you need is some paint to revamp a piece of furniture. Other DIY ideas also help, but paint is often the first thing I go to when I want to change up my decor and don’t want to spend a lot. I’ve used a lot of different paints over the years, but one of my favorites has to be chalk paint. I just love how it looks and how it feels, and it also makes it easy to distress furniture! 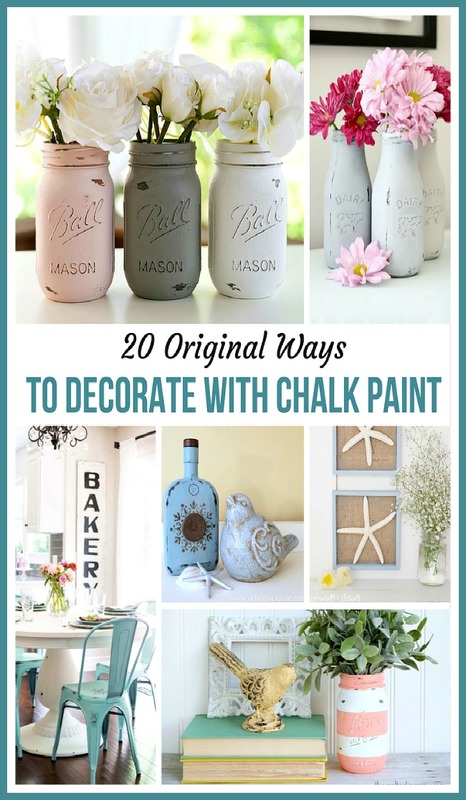 If you have some chalk paint and don’t know what to do with it, check out these 20 Original Ways to Decorate with Chalk Paint for inspiration! If you want to try one of these ways to decorate with chalk paint but don’t have any chalk paint on hand, there are a lot of brands to choose from on Amazon. Three popular brands are Renaissance Furniture Paint’s “Chalk Finish Paint”, Deco Art’s “Americana Chalky Finish Paint”, and FolkArt’s “Home Decor Chalk.” Just make sure not to confuse chalk paint with chalkboard paint. The two are not the same (though chalkboard paint can also be very fun!). 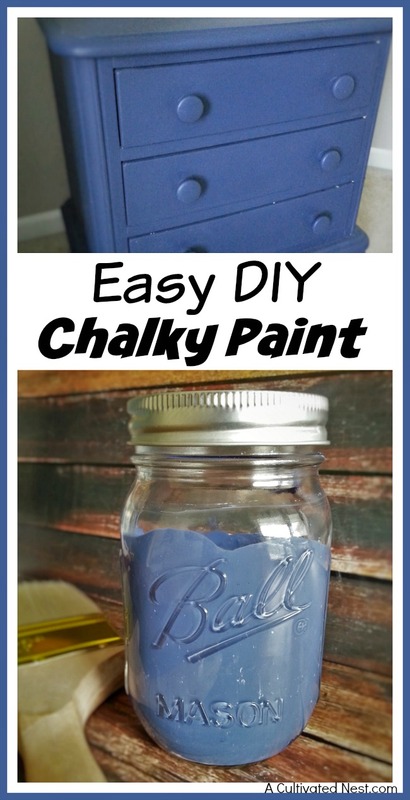 You could also make your own chalky paint in any color you like! 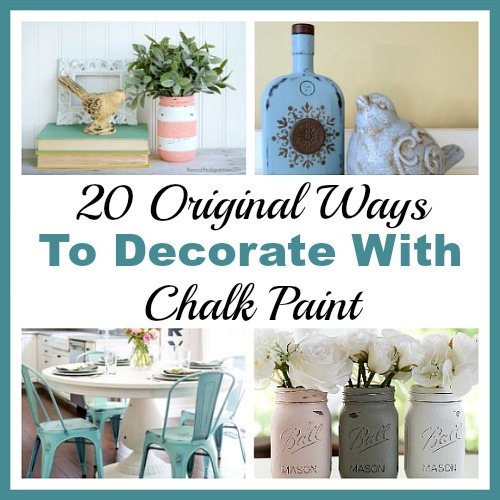 Have you ever used chalk paint before? This post contains affiliate links to Amazon. Please see our Disclosure Page for more information, and thanks for supporting this site! The best thing about chalk paint is that you can combine all kinds of colours and it would still look great as they are not so bright but muted. It’s so eye-soothing and appropriate for any kind of painting projects. Thanks for the tips!